If your organization tweets it, will they donate? Can Twitter help your cause raise money?, a question asked by the Give and Take blog. Avi Kaplan has published some basic stats from the recent Tweetsgiving Campaign that raised over $10,000 in 48 hours right before and during Thanksgiving to build a classroom in Tanzania. Some holy grail metrics are we need? Velocity and influence and it's darn hard to track those. 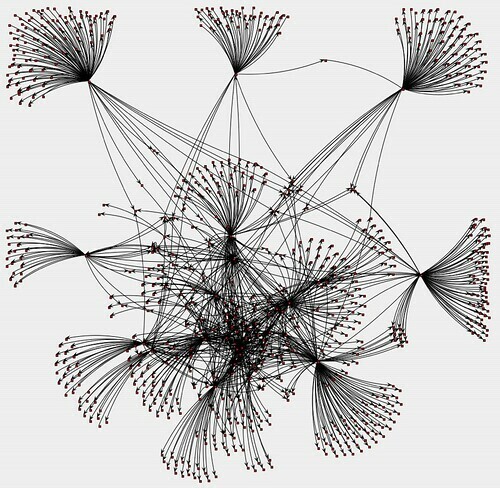 The closest thing I've seen is a little utility called Twitinfluence - it measures an individual users Twitter network based on the following: But not the network itself. As Jeremiah Owyang points out that "Retweet" (sharing a link or tweet from one of your followers with your followers) is a social gesture indicating endorsement of an idea and predicts that there will be an analytics tools to measure this. The big point is that successful efforts just don't happen on Twitter - it takes social capital, strategy, and the right metrics to track and evaluate what worked and what didn't. Thanks for the post. I'm anticipating trying a twitter campaign for ChristmasFuture to raise money for some of the development projects on our site (100% goes to those projects). I think we've a good strategy and some social capital. Anyway, when we move forward with the campaign, likely in the next 10 days, I'll post more advanced metrics and share those on our blog. Perhaps we can start evaluating a few more trends for other NGO 2.0s to use. ChristmasFuture fully embraces transparency--we're staking our organization on it and improving the everyday givers insight into what is going on in the developing world. I wasn't simply taking about numbers and metrics--I want to share the comprehensive picture of the campaign. The issue is that we're a small start up in our busy season, so I'll have to balance the planning/strategy with other critical items. Of course, this is very common, so whatever we come up with should be applicable to many other organizations! I'll do a pre-post on our strategy and send you a link by commenting here. Would that work? Take it from me, you can do it on twitter and twitter alone. Of course, it would help to have a presence across several social networks but we're noticing the bulk of people actually walking the walk are the folks on twitter. We're in the middle of a campaign right now, our 3rd in two years. So far, extrememly successful. We'll see how well we do when the project ends at the end of Dec.
Great points about the need for measuring velocity and influence, and that's quite a useful list of Twitter measurement tools. I was wondering: could you say more about what you feel would qualify TweetsGiving as a "flash cause"? Here's the link to some initial thoughts on the Twitter campaign that we're running. I'd love for you to have a look and weigh in with some thoughts. We're particularily challenged on the measurement element of gifts, as we aren't using any third-party fundraising platforms and our current gift giving model doesn't track campaigns like this. I'm looking to solve this. Anyway, I'd love your thoughts on the campaign.